21st December 2002, New Delhi. 1. Today all of us have assembled here to discuss and approve the draft Tenth Five-year Plan, though belatedly. We have almost completed the first year of the Tenth Plan Many parts of the country are passing through a severe drought, most of the States and, the Centre are facing fiscal crisis and the economy is going through a recession. It is in this backdrop that we aim to achieve an eight per cent growth rate, a formidable task, if not impossible. In order to achieve this high growth rate we need to raise enormous resources. But, unfortunately the tax-GDP ratio of the Centre is declining. As a consequence of this, the Central devolutions to the States have decreased. We need to increase the tax base and also improve the compliance. 2. The present recession is a short run problem and this has to be addressed through increased money supply. We may have to move away from fiscal fundamentalism for a while. Now that the inflation is under control and banks are flush with funds, there is a dire need to pump-prime the economy. The increased money supply would not cause any inflation as we have enough food stock and foreign exchange reserves. Moreover, the increased public investment would crowd-in private investment and thus, the economy would be able to come out of the recession. The pumppriming of the economy can be best done by increasing the States' share in market borrowings. 3. At present the vertical distribution of market borrowings is highly biased towards centre. Nearly 70 percent of the total market borrowings is appropriated by the Centre. This needs to be corrected. The Tenth Plan instead of correcting this imbalance is trying to perpetuate it. The market borrowings of the Centre are shown to be increasing by 50 percent from the Ninth Plan to the Tenth Plan, whereas the States are given a marginal increase of 21 percent in the Tenth Plan. Also, the present method of horizontal distribution among States appears to have no relation with the size of the States, the size of the public debt and also development requirements of the State. Thus, there is a need to evolve a formula for horizontal distribution that can partly correct historical distortions and bring in equity and social Justice in future. 4. There seems to be a divergence in the thinking of North Block and the Yojana Bhavan about the economic policy. The Medium Term Fiscal Policy that is being formulated by the States under guidance of North Block imposes certain norms for the debt and contingent liabilities, whereas the scheme of financing as approved by the Yojana Bhavan for the States does not reflect such concerns. The debt swap scheme that is formulated by the North Block envisages increased market borrowings to States to retire old high cost debt, but the Plan document does not reflect this as mentioned above. There should be a normative ceiling, not theoretical but based on ground realities, on the debt and contingent liabilities of the States. The States, which are below the national average, should be allocated more market borrowings and negotiated loans, so that the debt ratio of the States, which are above the average, will be brought down. Moreover, while the Kelkar Committee recommends abolishing all income tax concessions for small savings, theYojana Bhavan expe'cts to increase the saving-GDP ratio from the present level of 23.63% to 26.84% in the Tenth Plan. Thus, there is a need to narrow the gap between the thinking of North Block and Yojana Bhavan. expenditure compression rather than increasing the revenues. The tax-GDP ratio of the Centre has marginally come down and is lower in comparison to that of many countries. Our higher rates, though declining in recent years and lower tax-GDP ratio reflect poor tax compliance. For the last two years the revenue realisation is lower than the Budget estimates and much lower than the projection of the Eleventh Finance Commission. This has resulted in lower tax devolutions to the States. Even then, the States could manage to keep their Gross Fiscal Deficit at 4.5 per cent of the GDP in relation to Centre's GFD of 5.7 per cent in 2001-02(RE). It is necessary to increase the shareable union taxes to 33% of the net proceeds of the Centre. 6. There is an urgent need to supplement the resources of the States. For instance, we in Madhya Pradesh have achieved 26% growth in the revenues in the first half of this fiscal year through rationalization and better compliance. We have already passed the VAT legislation and would introduce VAT from 1st April' 03. The GOI should not only compensate the revenue losses, if any, from VAT but also allow States to tax the services through appropriate legislation. The royalties on mineral resources should be on ad valorem basis. The mineral rich states are also financially poor States. 7. In order to achieve a growth rate of eight percent, it is important to concentrate on the backward States like UP, MP, Bihar and Orissa. The levels of physical and social infrastructure are very low and these impose constraints on the economic growth in these States. There is urgent need to unleash the productive forces of these states through increased investments in the physical and social infrastructure. A country cannot achieve high growth with the vast majority of its population deprived of basic amenities. Thus, the increased investment in these regions has an economic rationale and is a social necessity. 8. It is very disheartening to note that even after five decades of development planning in our country the economic and social inequalities among States have not been reduced. There appears to be a serious lacuna in the Gadgil Mukherjee formula and there is a need to correct it. The States that have large SC and ST population and vast natural resources like forests and minerals do not get any weightage in the distribution of Plan assistance. The low levels of physical and social infrastructure in some of major States also of great concern. These parameters have to be included in the Gadgil Mukhrjee formula to compensate the States that have more developmental responsibilities. interests of conservation and development in a synergistic manner. 10. Another important feature of plan financing is that it brings in more tears than smile to the States. It comprises of 70% loan and 30% grant. The rationale of this composition is that plan schemes used to have 30% revenue component and 70% capital component in the initial period of planning. The capital investments are supposed to pay back the loan in terms of increased non-tax revenues directly and tax revenues indirectly. But, this has not happened, and now the composition of the plan is 70% revenue component and 30% capital. Thus, there is a need to change the composition of the plan grants to 50% loan and 50% grant. I am only reflecting the consensus of all the States on this issue. 11. The proposed Central plan assistance to the State Plans shows glaring variations across the States. It is understood that these variations are caused by the different levels of Externally Aided Projects (EAP) under implementation in the States. Thus, it is imperative that this iniquitous distribution of EAP be addressed. 12. It has been observed that over a period of time the Centre is transferring resources to States outside the Consolidated Fund of the States. This is against the principles of the federal structure envisaged in the Constitution of India. The expenditure incurred by the departments is not a part of the State Budget and thus falls out side the purview of the State Legislature. It is impractical to expect Ministries and Departments in Government of India to monitor releases under scores of schemes spread over different districts of the country. It is not appropriate for the Centre to try to administer schemes directly, which are constitutionally State subjects, for which power and responsibility lie with the States. Thus, it is important that all the transfers from Centre be made through the Consolidated Fund of the States. The decision taken to route all Central transfers through Consolidated Fund of the States in the conference of the Chief Ministers chaired by the Honourable Prime Minister should be implemented soon. 13. Moreover, while the Planning Commission determines the Central plan assistance and the non-plan transfers are based on the Finance Commission recommendations, the CSS/CS transfers have a large element of arbitrariness. Some States are able to get more funds than what they are entitled under any normative approach. Hence all these transfers should be done based on a transparent formula so that everyone would know where are these funds going and who are the beneficiaries. The Union Finance Ministry.should also publish State-wise allocations and releases as part of the Budget documents. 14. The agricultural sector is the backbone of the Indian economy, This sector has been neglected for more than a decade. The share of gross capital formation of Agriculture and allied activities in the total gross capital formation has come down to 7.1% from 13.9% since mid eighties. The rural credit-deposit ratio has declined from 1.58% to 0.73%. Thus, there is an urgent need to increase the investments in agriculture. But, the Plan proposes only 5% of the total allocation to the agriculture. This needs to be corrected. A major portion of agriculture is still rainfed. It would take sometime to provide complete irrigation, Meanwhile, we will have to increase the productivity of these farmers through input concentration and R & D. This would bring in more employment in rural areas and arrest the migration to already congested urban areas. 15. Given the comparative advantage of the agricultural sector, we need to put in more investment, both private and public, in this sector. India has to become a major player in the agricultural sector and a leading exporter of agro-products. We will have to reexamine the tenancy act and land reforms without adversely affecting the interests of the tenants, small and marginal farmers. We will have to ensure that our farmers benefit from WTO regime and their self-reliance is not eroded. for agricultural development, we must ensure increased productivity to make the marginal and small holdings viable and productive. The Tenth Plan strategies do take of intensification of agriculture and this must be converted into programmes of action. 17. An important aspect relating to agriculture is mitigation of effects of drought. Thus strategies like drought proofing and water conservation to control and minimize the damages caused by drought are needed. 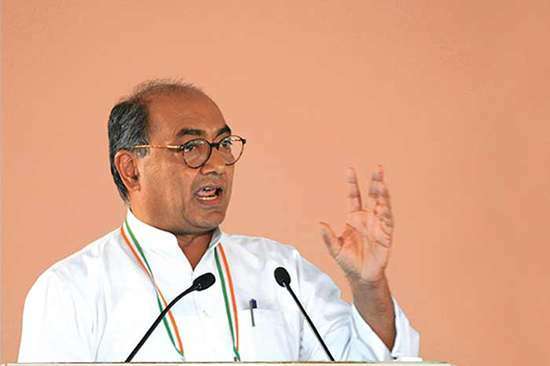 In Madhya Pradesh, we have been operating a Watershed Management Mission through community-led action and we see that the Tenth Plan has proposed a national Mission on the lines of our Mission. 18. I would like to draw the attention of this august body to the development and welfare of the Scheduled Castes and Scheduled Tribes. We already have a centrally sponsored tribal sub plan and special component plan to benefit these sections. These efforts have to be supplemented through a mechanism of sub plan in the central ministries dealing with physical and social infrastructure. 19. If we want to realise the dream of eight-percent growth rate, we need to have a consistent economic policy. We also need to have political consensus on the institutional changes that are necessary to accelerate the development process. 20. We need to collectively think why the recommendations made by the states through the Chief Ministers and consensus arrived at this august forum is often not implemented. A good example was our consensus on transfer of Centrally Sponsored Programmes which proliferate in areas which are clearly in the State List of Powers. A subgroup of Chief Ministers had also recommended that Government of India should limit itself to setting objectives and transfer block grants. It had even gone to the extent of suggesting that in the event of this not being possible, the content of the schemes and the strategies to be followed in each state should be developed through a tripartite discussion between the State Government, Ministry concerned of the Central Government and the Planning Commission. While the Tenth Plan document explicitly recognizes that uneven development characterizes Indian situation, it is unfortunate that the vital recommendation for transfer of Centrally Sponsored Schemes has not been implemented. We now have to bring projects for village roads and handpumps to the Government of India for sanction. Though the document shows that in terms of numbers Centrally Sponsored Programmes have reduced from 360 to 188 and Central Sector Programmes from 2247 to 922, the actual amounts that accrue to the State on account of this remains meagre. 21. Similarly the Tenth Plan has not come up with any radical departure towards decentralization and subsequent institutional redesign which it acknowledges as key challenges. This can happen only through greater decentralization of resources to states. 22. In the last decade, State Governments have shown the lead on how many of our development challenges can be better addressed through a framework of decentralization and community action. There was therefore an opportunity for the makers of the Tenth Plan to effect a radical departure and promote this trend. However, it has unfortunately missed this opportunity and while retaining homilies on decentralization denied state Governments and the people of India the real opportunity to accelerate the pace of development.